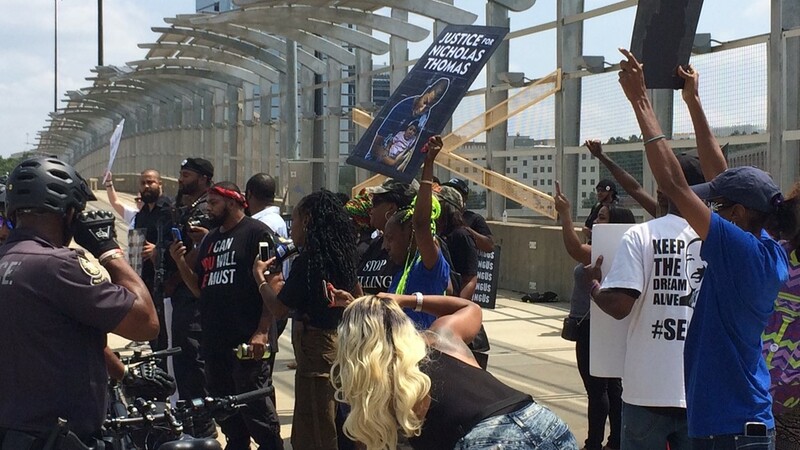 The group was protesting what they described as "police terrorism." 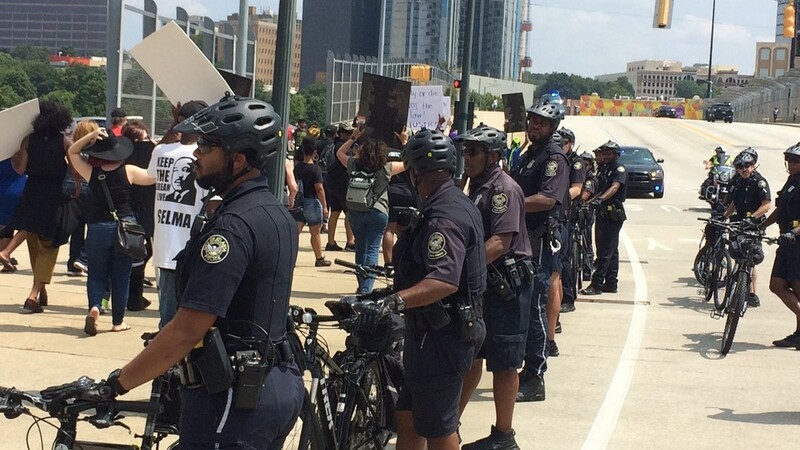 ATLANTA — A group of protesters took to the sidewalks of the 17th Street bridge on Friday calling out what they called "police terrorism" in Atlanta - all as police from the same department stood guard in front of them. 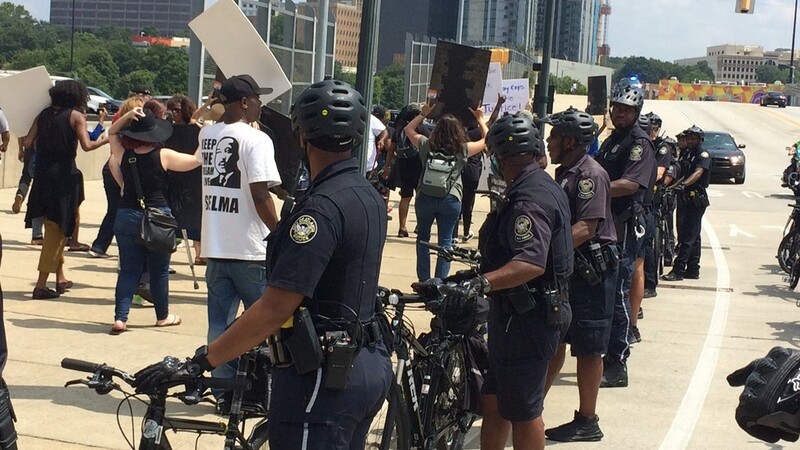 Protester Chris Mungin said his goal was to get the word out about incidents of police brutality in the metro Atlanta area, including one involving U.S. 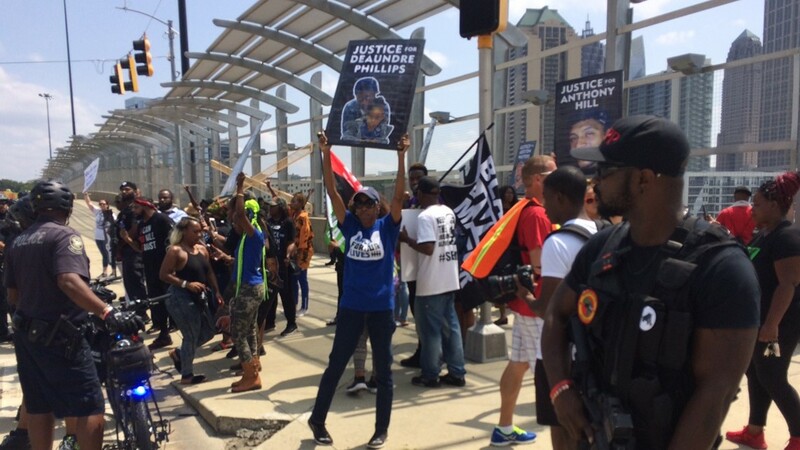 Marshals that 11Alive covered previously - the shooting death of Jamarion Robinson. Investigators found 76 bullet wounds on his body. "They keep it away from the media, they keep it away from social media, they keep it away from the community and we have to start bringing awareness to what's going on in our city," he said. 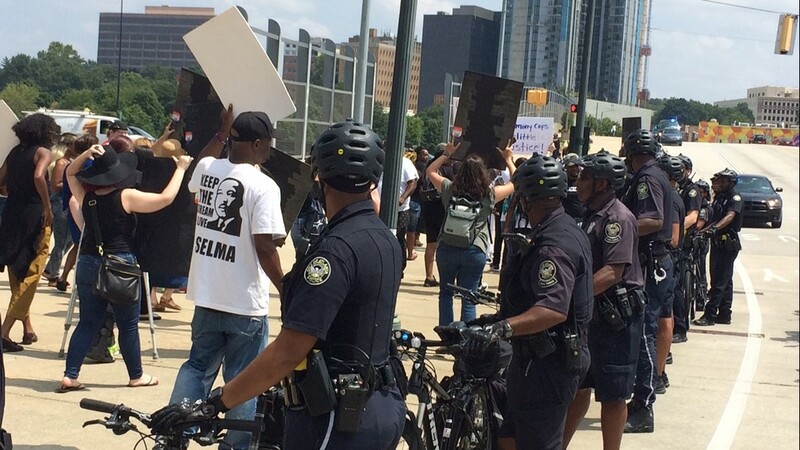 A short time after the protest began, officers from the Atlanta Police Department formed a line between the sidewalk and road preventing motorists from possibly hitting them - but also separating them from many of the people the protestors were trying to reach. 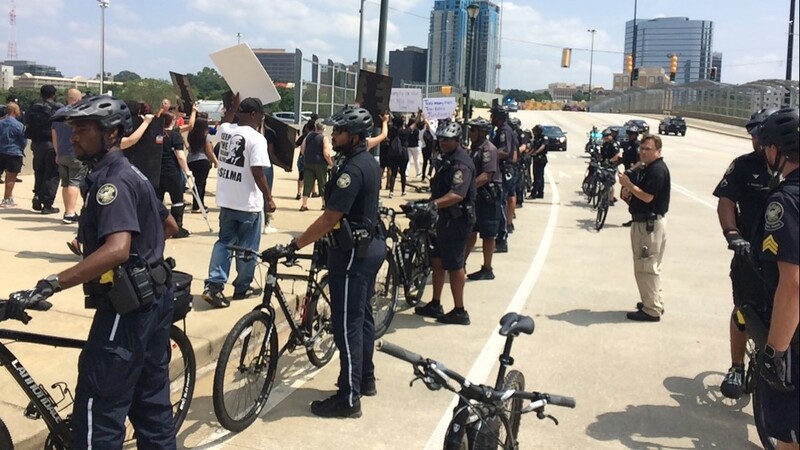 The group had previously entered the roadway just off the bridge which led to a confrontation between both groups as offers ordered them back to the roadside. But the event remained peaceful - something Mungin said proved a major point. "The outrage is there," he said. "As far as how we express it, you see it. 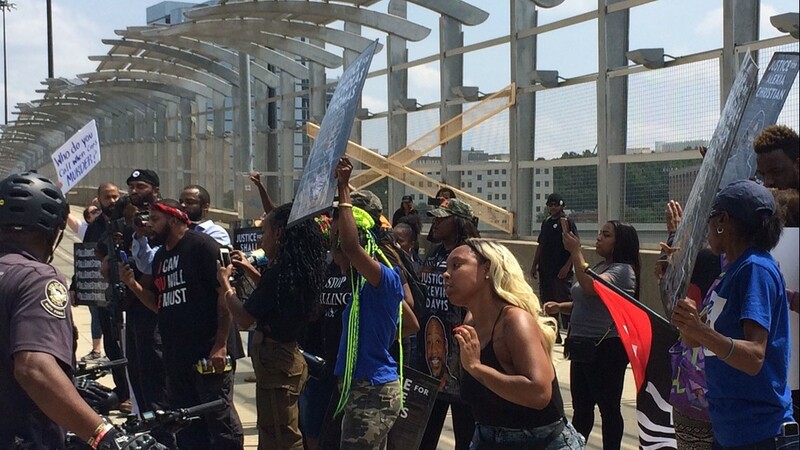 We're coming together, we're working together peacefully - nobody is looting, nobody is tearing up anything - we're just tired, we're frustrated we're aggravated and today is the day we're going to start and it won't stop after today."